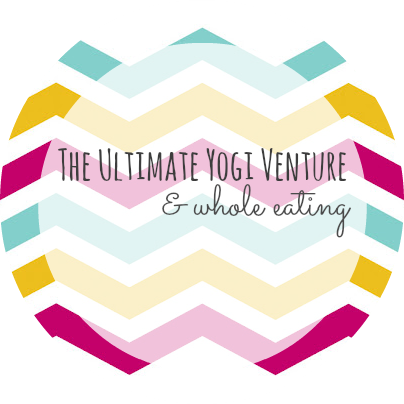 Week two of The Ultimate Yogi is done! Whoo hoo...as of Tuesday night that is, you're reading this Thursday so I am technically on day 16. I just finished Mountain Pose, which is quite the happy ending to the week, 28 minutes of yoga seems like a dang treat after 70 minutes for days. I really wish I had someone to do this with me, it gets some special kind of lonely doing 70 minutes of yoga alone. Maybe this is why classes are more fun. Sorry, I'm a gym rat by nature and the hand I've been dealt with Jer in graduate school has left me gym-free. Almost makes me want to take more classes just to get a membership to the activity center. Such a shame Jeremy can go since he is a student, and sitting right here on our couch is the one who loves the gym atmosphere and can't set foot inside. Sigh. Life is hard isn't it! Obviously this falls under the category of first world problems. I just keep reminding myself that soon and very soon Jeremy will be school free and I will be back on track for a good ole gym membership. Oh hallelujah! Favorite workout - Vitality, the flows are nice, and after more yogi pushups than one can take during the week the Vitality workout is a welcome relief. Sleep - Much better than usual. I am sleeping deeper and according to my FitBit my sleep efficiency is up. Diet - I haven't done too bad, but I don't feel like I've done great. Before tutoring today I finally couldn't take the stress anymore and grabbed a handful of mini Charleston Chews. I know...I'm a terrible person lol. I did break the clean eating thing for the UY program, but I am contemplating doing Whole30 as a means of cleaning up my system even more. It would be great if I could kick my sugar addiction before I get to the vegan cleanse. I am thinking right now that I could slowly implement the Whole30 idea by eliminating week by week, I just don't want to toss out products I just bought like that tasty soy creamer in the fridge door. Considering I've already meal planned and invited people over for Sunday I am going to begin my cut backs on Monday. I've let other people and their negative body image guilt me into eat terrible the past few weeks and it is wreaking havoc on me. I shouldn't have to quietly eat junk just so someone won't make a snide remark about how I eat. The Whole30 will be a great way to reboot my body, and definitely prepare for the cleanses to come throughout UY. No lie the hardest part is going to be giving up grains and legumes, I love those, love them! Oh and dairy! For a lactose intolerant person I have quite the cheese love. Nothing on earth tastes as good as cheese. I've been meaning to get some nutritional yeast in an effort to cheese up a few foods without the added cheese. Here are a few Whole30 links I found if you want to check out what it is. First thing being cut out next week - no dairy, no carrageenan, MSG, & sulfites, and no white potatoes, and no added sugar. As soon as I run out of my soy creamer I will cut out legumes. At this rate I will be set to start full on before April. Weight - I have no idea. I seem to be gaining, but for no real reason. I have trouble drinking the 64oz of water I need per day for my weight...so water retention could be the likely culprit. Yoga - My legs are killing me, but only when I do yoga. I just about fall out crying when he calls for chair pose lol! I keep wondering when it gets easier, Jeremy swears P90X got easier as time went by. I am tempted to keep on doing the program past the 108 days just to try and get my poses where I want them to be. Mood - Better. LEAP stress is still kicking me, but during yoga I am perfectly fine. I am still slightly anxious about the fact that I can't control the internship deal...but other than that my irritation is totally at a normal level for this time of year. Which is probably terrible to say considering reviewing writing before Phase I kicks in has me sore horse that swallowing hurts. I literally read out loud and orally corrected, as well as wrote in pen, on 38 kids writings today...just so they could hear themselves. My throat hurts, and for good reason:) Needless to say my desire to kill is lower than usual (joking, totally joking).